As the founding partner of Olson Kundig, Jim Olson has explored the aesthetic interplay of art, nature and architecture, and the relationship between light and space, for over fifty years. Jim is the recipient of numerous honors including the Seattle AIA Medal of Honor and many national and international design awards. His work has been published worldwide and is the focus of four monographs: Jim Olson Houses (The Monacelli Press, 2009), Art + Architecture: The Ebsworth Collection and Residence (William Stout Publishers, 2006), Jim Olson: Art in Architecture (The Whatcom Museum, 2013) and Jim Olson: Building • Nature • Art (Thames & Hudson, 2018). Jim’s work was also the subject of a traveling career retrospective that originated in 2011 at the Museum of Art at Washington State University, as well as a solo exhibition at the University of Washington in 2015. Jim has been published more than one thousand times in venues worldwide, including the New York Times, Dwell, the Wall Street Journal, and Architectural Digest. Under Jim’s leadership, Olson Kundig has received a National Architecture Firm Award from the American Institute of Architects, has been included in the AD100 list for six years in a row, and for three years has been named one of the Top Ten Most Innovative Companies in Architecture by Fast Company. Inspired by the relationship between architecture, art and nature, Jim has designed residential projects across the globe, often for art collectors. Always exploring the interplay between inside and outside, Jim creates homes that offer intimate settings for living with art and nature, such as An American Place, House of Light and Hong Kong Villa. His projects are characterized by a sensitivity to light and space in service to the unique artworks displayed, and to each site’s natural attributes. Jim is equally passionate about making architecture that enhances the urban context. His commitment to creating a thriving community is best exemplified in Seattle, where his work has powerfully altered the city’s fabric. The award-winning mixed-use Pike and Virginia Building—the first new mid-rise constructed in Pike Place Market in fifty years—originated a style of architecture in the neighborhood. This building, along with Jim’s wide range of international residential and commercial work, expresses the power of contextual design: architecture that fits into the cultural, social and economic milieu of both the built and natural environments. Jim has received many honors over the course of his career, including the Seattle AIA Medal of Honor. He is a member of the College of Fellows of the American Institute of Architecture and has served on the boards of a number of Northwest arts and community institutions, including the Seattle Art Museum. Jim lectures extensively throughout North America on the relationship between architecture, art and nature, and in 1999, he served as the Bruce Goff Chair of Creative Architecture at the University of Oklahoma. His work has been widely recognized through awards, including citations from the American Institute of Architects, the Chicago Athenaeum and the American Association of Museums. Under his leadership, Olson Kundig received the 2009 National AIA Architecture Firm Award and has three times been named one of the Top Ten Most Innovative Companies in Architecture by Fast Company. 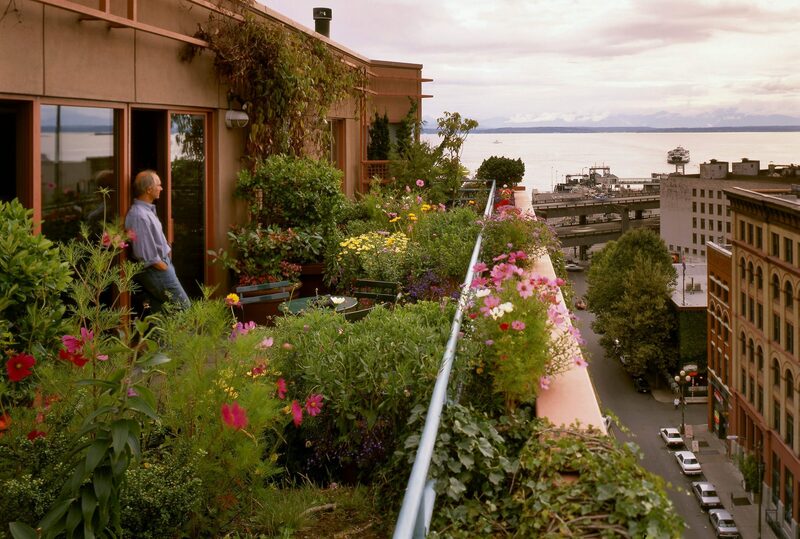 Jim was inducted into Interior Design magazine’s Hall of Fame in 2012, and he is the 2013 Rainier Club Laureate. Jim’s work has appeared in publications worldwide, including The New York Times, Architectural Digest, Architectural Record, Art + Auction, Monocle and Interior Design. Since 1991, the firm has appeared on Architectural Digest’s AD100 list more than ten times. His work has been featured in many books, including four monographs – Jim Olson: Building • Nature • Art; Jim Olson: Art in Architecture; Jim Olson Houses; Art + Architecture: The Ebsworth Collection and Residence, which focuses on the Olson-designed home of an art collector; as well as a monograph on the firm’s work, Architecture, Art and Craft: Olson Sundberg Kundig Allen Architects. “Jim Olson: Architecture for Art” was the first comprehensive exhibition devoted to Jim’s career. The exhibit—which featured 27 of his touchstone projects, a full-scale diorama of his cabin and a mural room—debuted at the Museum of Art at Washington State University in October, 2011. In 2013, the exhibit traveled to the Lightcatcher at the Whatcom Museum, a space that Jim designed. In 2015, “Jim Olson: Home Base” opened at University of Washington’s Gould Hall. The exhibition presented an intimate portrait of Jim and his architectural legacy, from his first project in 1959 to his ongoing work for clients around the world. At the age of eighteen, Jim began work on a bunkhouse for his family in Longbranch, Washington. Since then, he has continued to expand the small structure into both a private retreat and a touchpoint for his work worldwide. “Home Base” documents the design and redesign of Jim’s Longbranch Cabin over 56 years through photos, architectural models, sketches and selected ephemera: the subsequent evolution of his coinciding—and still thriving—architectural career.